DH108A (aka K-A37) is the first AllWinner A31 Android set-top box I’ve ever come across. This full-sized media player comes with 2 GB RAM, 8 or 16 GB flash, and provides both Ethernet and Wi-Fi connectivity. The device comes with a power adapter, a remote control, an HDMI cable, and a user manual. 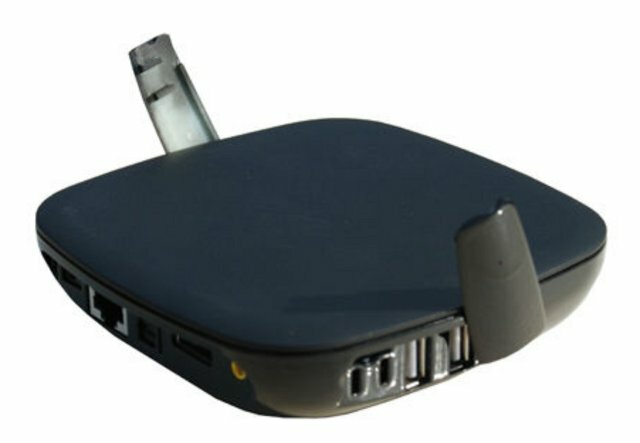 It may also be sold with a 2.4 GHz wireless mouse and keyboard or a fly mouse. DH108A is not yet available for retail, but distributors can already request a quote for the device on Alibaba, so it should probably become available in a few weeks. Do chances of good Linux support look better for A31 or RK3188 at the moment? (My guess is RK3188 – thanks to Picuntu + Lima driver progress? But maybe the Allwinner source code leaks (:p) change even things up? It’s difficult to know. There are more people working on AllWinner processors, but due to the PowerVR GPU it may be impossible to get hardware acceleration for Linux, whereas there may be a better chance with RK3188 with its Mali GPU. I understand that in 2014, Ubuntu 14.04 should run on any ARM devices supporting Android, because the Mir display server can support Android drivers. The last one has a price bracket US $52 – 65 / Piece for 100 pieces. They most probably added a USB to SATA chipset.